This is a bit of an oldie, but goodie. 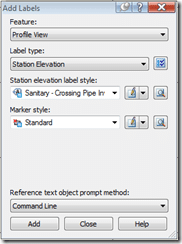 Civil 3D Pipe Label Styles can give me the Invert In or the Invert Out of a pipe, but not the invert between point a and point b. That limitation is never really an issue until you go to label the invert of a crossing pipe. If you’re like me the first time I encountered this issue, I first searched and searched the Plan Profile Pipe Label Style options. My disbelief grew with each minute, until I happened to look at my Google Talk and found one of my Civil 3D buddies online. It wasn’t until then I really believed Civil 3D couldn’t label a crossing invert…well that was until I expanded another node in the settings tab. That node? 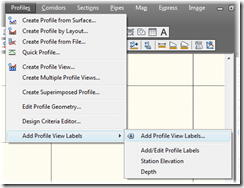 Station Elevation labels for Profile Views. 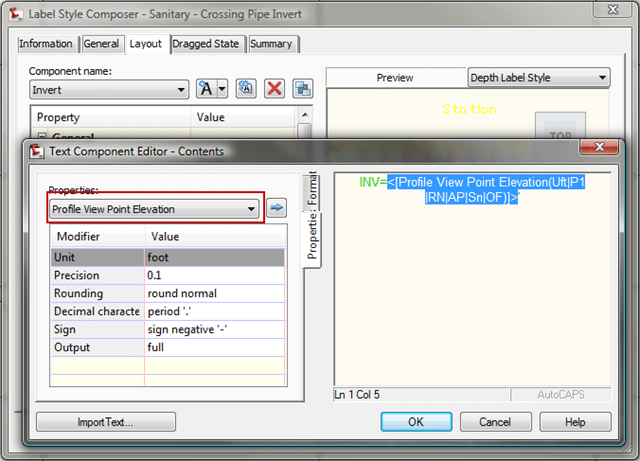 For my crossing pipe invert label, I created a new style under: Profile View > Label Styles > Station Elevation. Opening the style will reveal a simple, yet effective style. 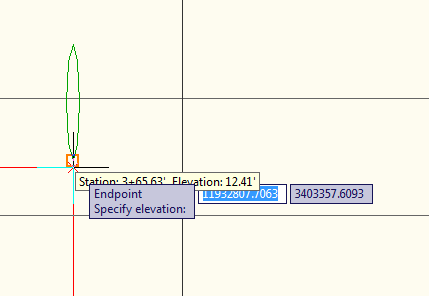 All I have done is added a text element that says INV=, and then includes the ‘Profile View Point Elevation” property. By employing this method I’m labeling the profile, not the pipe. It just so happens whenever I use this style, a pipe will be nearby. From a presentation standpoint, the label being a profile style verses a pipe style is indifferent. However from a data linking & management perspective, the separation is huge. Since I am using a profile style to label a pipe, if the pipe updates, the label will not. I’ll have to manually move the label to update the elevation to a new invert. 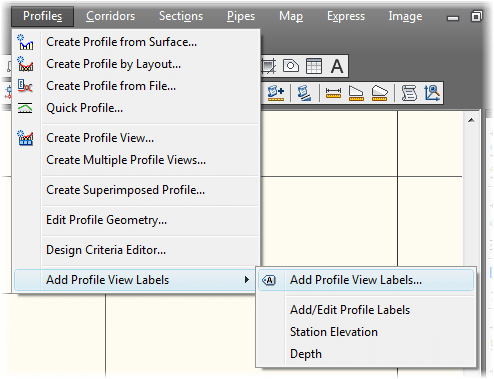 After clicking [Add], Civil 3D will prompt you to select your profile view, then pick a station & elevation. To pick the station and elevation, use your Endpoint snap to select the same point twice. 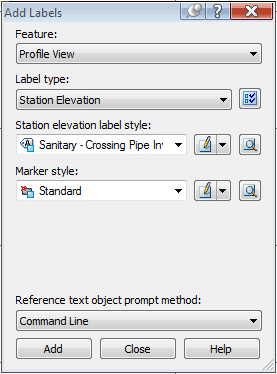 Once you have selected the profile station & elevation to label, Civil 3D will display your profile label that so badly wants to grow up and become a pipe label style. 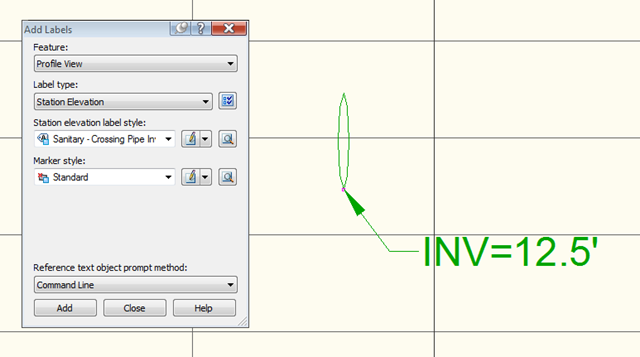 Please see attached photo, when i drag my structure label leader tail is coming in 90 degree (rounded in green color). Can u tell me how can make leader tail at same text aligment. I appreciate the problem you’ve presented well, in fact I have another issue that falls along the same lines. 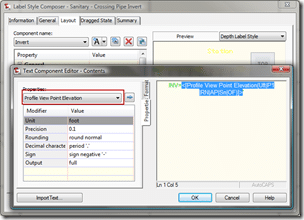 I need to be able to not only label the crossing invert, but also to place the station along the crossed line and invert elevation where it crosses into a pipe or structure table. The idea is to present a profile of the main line with the crossing symbols located along it. I could label the crossings with an ID Name and then present a table that shows the stations along the main line where the crossings occur and their elevations and descriptions from the crossing pipes data. It sounds like a pretty resonable request to me, but I can only extract the stations, etc. from the start or end of the crossing pipes – not at the crossing intersection. Karl – I too fall into the camp of “that should be easy enough”, but haven’t found an easy way yet. The label mentioned in this post will report both station and elevation, but the reported values are of the profile, not the pipe. It’s not a big deal for the elevation, but the alignment number will of course be bogus for most pipe profiles inside a typical plan set. 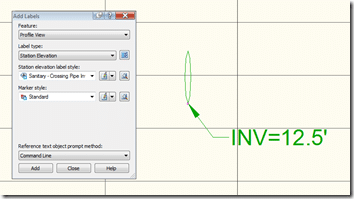 The easiest way I can think to find this value is to use an inquiry tool in plan view. It’s still manual, and harder than it should be, but perhaps a little easier than manually calculating the station.